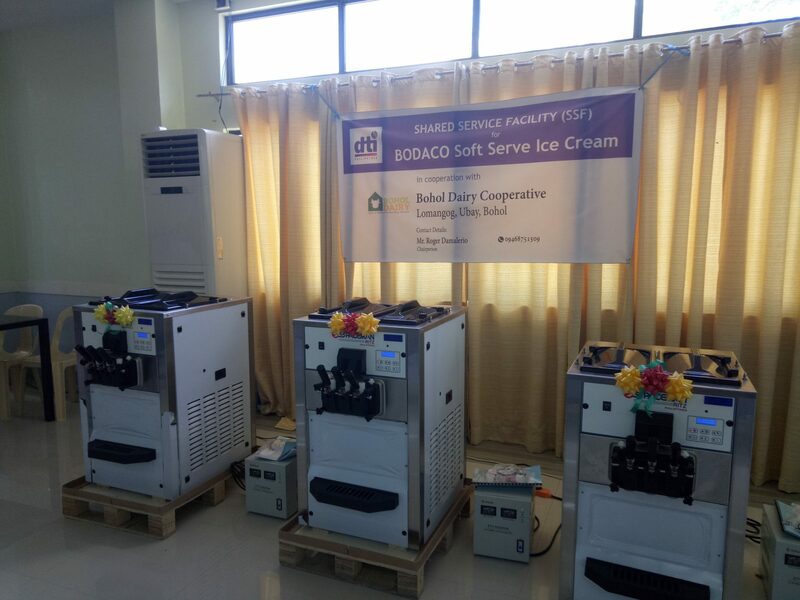 The Department of Trade and Industry (DTI) thru its Shared Service Facility (SSF) project awarded three units of Soft Ice Cream Machines to Bohol Dairy Cooperative (BODACO) during the launching activity on March 22 at Philippine Carabao Center at Ubay Stock Farm (PCC at USF), Lomangog, Ubay, Bohol. BODACO requested the Php600,000-worth of equipment to increase its ice cream production, which is one of its highest selling products. Beforehand, the co-op has two soft ice cream machines donated by the Korea International Cooperation Agency (KOICA). These are placed in their outlets at the public markets of Ubay and Alicia. According to Shirley Molina, general manager of BODACO, one machine will be added to Alicia outlet while another will replace a malfunctioned unit in Ubay outlet. The placement of the remaining machine, however, is yet to be agreed with the management. “The challenge now is to increase”, said Dr. Glen Doloricos, representative from the Provincial Government of Bohol as he emphasized that for every grant received, there must be improvements to the co-op and especially to its members. Dr. Gundolino P. Bajenting, Officer In-Charge of PCC at USF added that the only way to upsurge the milk is to increase the number of farmers milking their carabaos. Furthermore, he committed that PCC will always be supportive of the co-op’s undertakings. “The approval of the co-op’s proposal didn’t come easy though not also very hard”, according to Marisol Balistoy, OIC-Provincial Director of DTI-Bohol. “It has to undergo series of reviews and validations to ensure that guidelines of the SSF project will not be compromised”, she added. The SSF project is a major component of DTI’s Micro Small & Medium Enterprise Development (MSMED) program that aims to fill-in the production gaps of the existing enterprise to increase its income. Balistoy explained during her statement of the rationale that what qualified BODACO to avail is that the co-op has demonstrated a complete value chain on carabao dairy enterprise. It has raw milk production, toll processing, and marketing operations with the identified gaps. 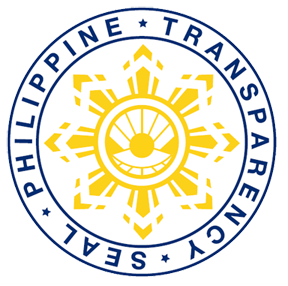 Though the machines were awarded to the group, the ownership of these however, remains with DTI up to three years, as stipulated in the Memorandum of Agreement (MOA). Afterwards, the co-op can own these upon validation that the project has truly increased the income and the employment of the group. Lita Aranas, one of the co-op’s Board of Directors who represented the chairman during the launching activity, expressed her gratitude to God for entrusting DTI to grant their ever-dreamt additional facilities. In her acceptance speech, Aranas stated that the co-op wholeheartedly accepts the blessing and the responsibility on the SSF project and commits to properly manage it and make it fruitful with the help of God. Also extending their supports to the co-op thru their attendance and messages were: Mr. Benedicto Boyles, representing the Mayor of Ubay, Bohol and Ubay Vice-Mayor Nelso Uy. The machines were tested at the end of the program while giving free soft ice cream to all attendees.